Most agree that legs are essential for efficient locomotion, but are they really the primary driving force behind body movement? 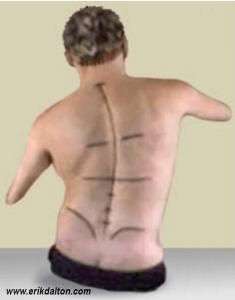 It makes no sense that the torso, arms and head would not somehow contribute to gait (Fig. 1). Since the body strives on energy conservation, the idea of dragging a heavy torso with just the hips and legs seems like a terrible waste of muscle mass. However, this classic “pedestrian theory of gait” is still taught in universities today. Fig 1: The spinal engine is a three part system. But, those of us who’ve had the unfortunate experience of wearing a body brace can testify to the excessive strain and exertion placed on the structure as the body valiantly attempts to maintain a normal cross-patterned gait with reciprocal hip/torso rotation. With the torso immobilized, we walk with an awkward ‘block-type’ stride, as the brain is forced to recruit the QL and other hip-hikers on the swing leg side to prevent the foot from dragging the ground. This aberrant gait is also seen in our lumbar-fused and ankylosing spondylosis clients… and even in infants who’ve yet to develop a stable lumbar curve. Try experimenting with this concept by placing some kind of elastic or leather support around the lower ribcage or lumbar spine. During gait, can you feel your thorax and pelvis struggling to rotate against resistance from the restraining strap? Fig. 2: Cross – patterned gate, legless man. At the first Harvard University Fascial Congress, my dear friend Serge Gracovetsky introduced his elaborate spinal engine theory by showing research video of a man born with no legs walking on his ischial tuberosities with a near-perfect cross-patterned gait. (Fig. 2) Gracovetsky convincingly asserts, “If the legs were truly the mobilizing force propelling the body through space, a competitive sprinter with huge powerful legs and a small torso should be the fastest.” But that is not what we witnessed in the London Olympic games when a buffed-up Usain Bolt set a world record in the 100-meter dash. Today, these two main schools of thought are in vocal disagreement about the driving force behind the seemingly simple act of walking. Although both disciplines agree that cross-patterned gait is a normal function of walking and running, pedestrian model of gait advocates believe that power is generated primarily through the hips and legs, and serve to propel the passive passenger -the trunk- through space. Conversely, spinal engine enthusiasts see the body as a spiraling spring system where global and deep core structures work in perfect harmony to ‘wind up’ and store elastic energy deep in lumbar spinal structures. They describe a complex neuromusculofascial collaboration occurring during the stance phase, as rotary motion is translated through the core causing storage of potential energy deep in lumbar collagen structures such as the annular disc fibers. multifidi, spinal ligaments, and thoracolumbar fascia. 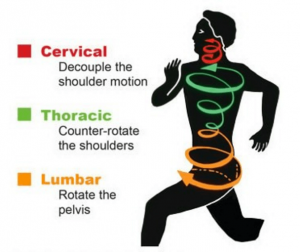 As the spine unwinds, a pulse of kinetic (movement) energy counter-rotates the torso and pelvis and with help from four major myofascial spring systems (Fig. 3), efficiently propel the body through space. 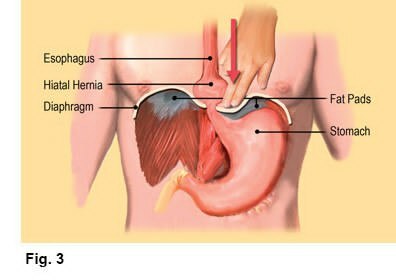 This process is detailed in my Dynamic Body textbook and accompanying lower body home-study program. The CNS simplifies these immensely complex gait patterns by ‘bundling’ large numbers of neuronal signals into a few fundamental reflexes, which control all major muscle groups, including those listed in the spring systems images. This arrangement affords a certain degree of ‘automaticity’ once rehabbed correctly using appropriate manual and movement-based therapies. For practicing somatic therapists, the spinal engine theory highlights the fundamental importance of maintaining mobility and restoring stability to all myoskeletal structures. It makes common sense that any restriction or ‘kink’ in the kinetic chain (fascia or skeletal), will result in altered cerebral neuroplasticity and compensation elsewhere in the chain. coccyx. The Journal of Bone and Joint Surgery. 1983 65(8): 1116-1124. 2. Kim NH; Suk KS: Clinical and radiological differences between traumatic and idiopathic coccygodynia. Yonsei Med J, 1999 Jun, 40:3, 215-20.